It's about time - the moment we've been waiting for since Pitt wrapped up a ten-win season. The Utah game. If Pitt wins, they continue the momentum they've built up since beating North Carolina in the Car Care Bowl. 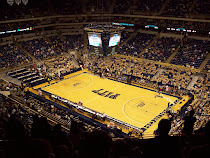 Lose, and while the season will be far from over, Pitt will need to go back to the drawing board. So with that said, we've got a great guest to kick off this year's Q&As - Dirk Facer, a sports writer for the Deseret News in Salt Lake City, who covers Utes football for the newspaper. Be sure to check out some of his excellent work for the full lowdown on Utah. 1. Freshman QB Jordan Wynn looked really sharp last year after taking over as the starter. How did he look in camp this Fall? A: Wynn has picked up where he left off in last year’s Poinsettia Bowl victory over Cal, netting MVP honors by completing 26-of-36 passes for a career-high 338 passes and three touchdowns. Confidence is the big thing. Instead of competing for the job like he did last fall, Wynn entered camp as the designated starter and has embraced the role — leading the first unit throughout. 2. How did senior QB Terrance Cain take last year's demotion despite leading the team to a 7-1 start? A: While acknowledging it was tough at first, Cain accepted the change and has been pushing Wynn ever since. Cain had a fantastic camp, working mostly with the twos, and may see action in specific packages as the backup. Cain and Wynn have remained friends throughout the competition. 3. With the departure of star WR David Reed and the return of 1,000 yard rusher Eddie Wide, do you expect to see Utah run the ball a little more than usual in the opener or will they look to test Pitt's unproven secondary? A: The Utes certainly have strength in the backfield with Wide and fellow senior running back Matt Asiata, who led the team in rushing in 2008 and was setting the pace again last season before suffering a season-ending knee injury, back in the fold. Senior Jereme Brooks headlines a deep, but relatively inexperienced receiving corps. Utah will likely run the ball quite a bit, but has the weapons to throw it often as well. 4. Where are some of the weaknesses on Utah's defense that Pitt might be able to exploit? A: The Utes have consistently been able to reload on defense over the years. However, this season’s squad features three new starting linebackers and new starters at both safety spots and one of the cornerback positions. Pitt is expected to challenge the newcomers. The Utes, however, counter with an aggressive defensive front. 5. How do you see the Utah vs. Pitt game shaping up on Thursday? A: It certainly is shaping up as a much better matchup than the 2005 Fiesta Bowl. The main question in this meeting involves Utah’s ability to slow Pitt’s ground game. 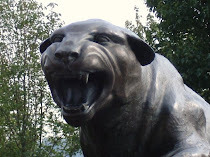 Another thing to watch is how the Panthers handle the travel to altitude and a hostile environment. The Utes have won 13 consecutive games when coach Kyle Whittingham has eight or more days to prepare for an opponent.